IT'S ONLY A COMIC LIVES ON! Send your pitches to Tony Lee ! I'm running a contest over on my Myspace page. 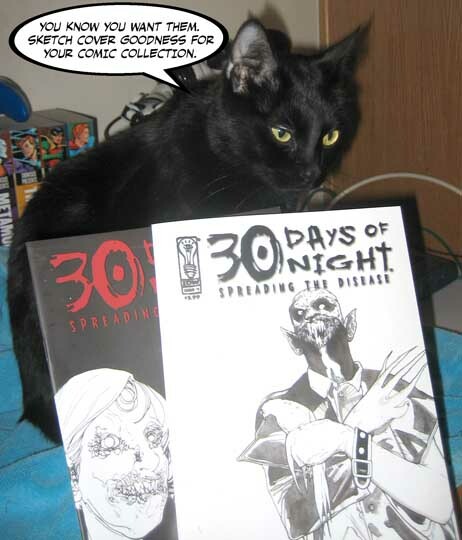 I'm giving away sketch cover editions of the first two issues of 30 Days of Night: Spreading the disease. And if you want to know what the prize is, just ask my friend Crash.